Google Chat is also known as Hangouts at the moment. You can use this feature as an application on your phone, on Google Plus, on Gmail services. Google Chat is free and you will have an account with this service if you ever register for one of Google services on internet. 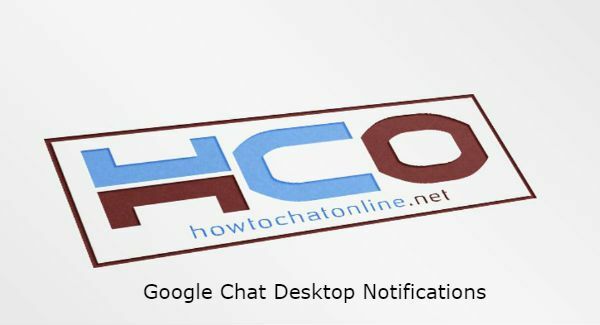 If you would like desktop notifications to work on Google Chat, you can use our tips at below. Go to main website of Hangouts. A popup will appear on the browser for notifications. If popup doesn’t appear, please do the following steps below. Tips at above are just for those who are beginners of this messenger service of Google Chat. The popup is generally appearing at the first time visit of Hangouts. It also appears at Google Mail too, since it is related services with mail. You can also activate those notifications on Google Mail too. Go to the website of Hangouts. Search for notification on the settings. Click on selection menu of notification section. Reload the page of Hangouts. Now, whenever you receive something important through hangouts, you are going to receive notification. That will make things easier for you to notifying calls, receiving calls, messages, etc. ← Where does Telegram Save GIFs?